Australia Day: The day Australians spend a day by the pool, beach, or with a backyard BBQ celebrating the arrival of the First Fleet. Or, if you’re like our family, the celebration of Uncle Merv finally hitting a sixer in the third round of backyard cricket (now we can all go home!). If you’re like us and have a pooch that doesn’t like the pool, it doesn’t help to be out all day in the harsh Australian sun. 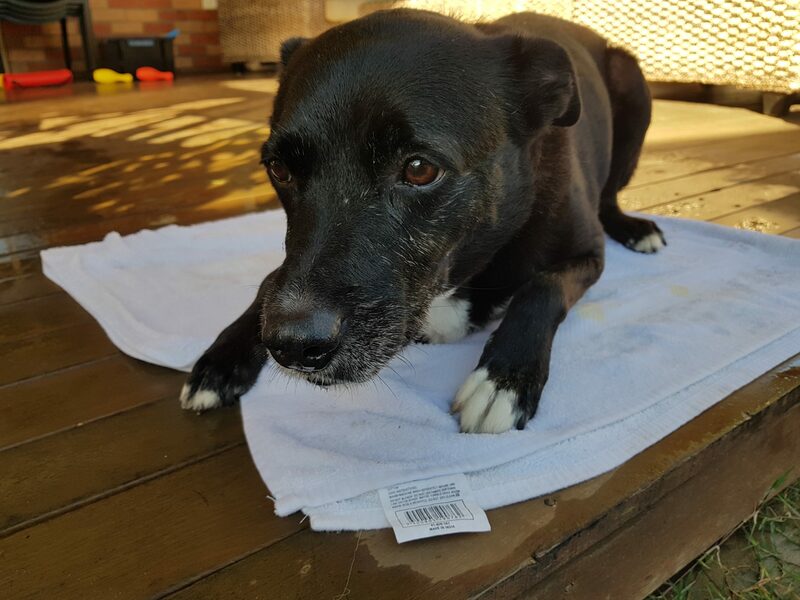 We take our dog with us everywhere we go, and this year is no different – but thanks to the vets here at AES, we’re equipped with three ideas to help keep our very energetic Kelpie X Border Collie, Shai, nice and cool. Create your precious pup their very own Doggy Icy Pole, by freezing a dog treat in some water in a container. This special treat not only keeps your dog hydrated while licking away at the icy pole but keeps them occupied as the ice takes its time to melt away. Step one: Find a mould – it could be a plastic Chinese container, a silicone mould, we’ve even seen people use cake tins! Step two: Place the dog treat at the bottom of the mould. I use regular doggy biscuits from the pet store, but you could use apple slices, cheese or even some cooked chicken breast (no cooked bones!). Step three: Fill your container with water up to 2 cm from the top of the vessel. Place this in the freezer overnight or freeze for a minimum of 1 hour (depending on individual freezers and the volume of water, it might take a little longer). 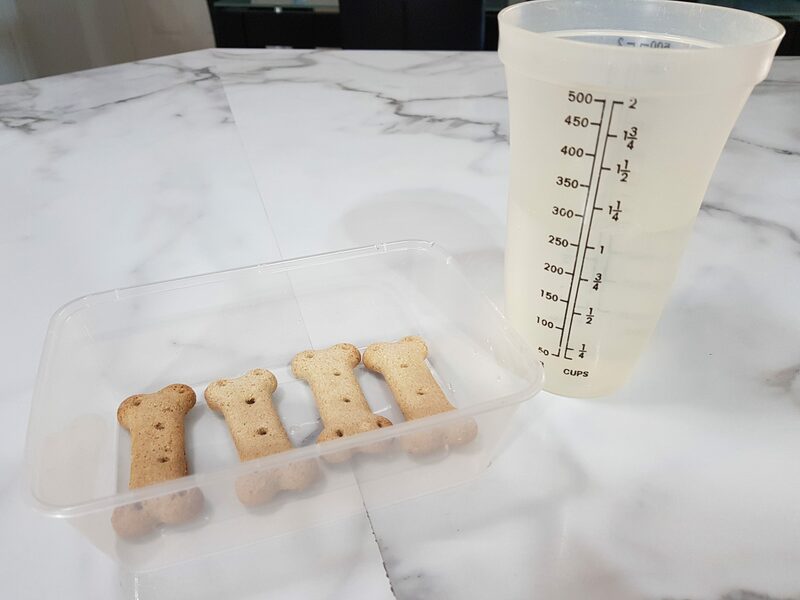 Step four: Before giving to your dog, ensure to loosen the edges of the container with some hot water on the outside of the vessel, and prise out the Doggy Icy Pole to give to your dog. 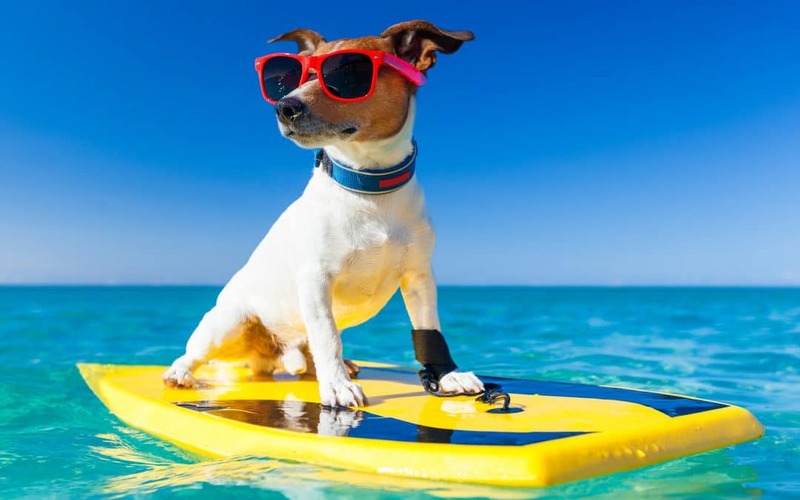 It can be hard to keep your pet contained on days where it’s hot, especially if there is no shade in your backyard or worse, you’re cooped up inside all day. This hack is good for both indoors and outdoors and helps keep both you and your doggy entertained! Maybe you can even capture the moment as a video on your phone. Step one: Hideaway from your dog in an area where you have a bit of space and they can’t follow you. It’s important to note that they will eventually be relaxing in this area with you, so use a space in the backyard or inside where it’s safe and you’re happy for your pet to roam free. If you don’t have an area to hide away, get someone to occupy your curious pooch while you’re setting up his trail. Step two: Set up the final destination first by wetting a towel and placing it on the floor to make a bed. This marks the place your dog will be relaxing to cool down, and the wet towel will help to bring body temperature down. Place your dog’s water bowl next to the towel for extra hydration. If doing this outside, ensure the towel is placed in a cool, shaded area. Step three: Use your dog biscuits or dry dog food pieces and set out a trail on the floor from your final destination to your dog. Place a treat every few steps for him to follow. Make sure you film it and tell us how it went! Heatstroke is so common in our great nation because of the harsh sun and temperatures that soar at this time of year, especially in the northern parts of Australia. Any breed can succumb to heat stroke, especially when exercised in the heat of the day, so we recommend introducing a bit of water play along with plenty of shade and drinking water. 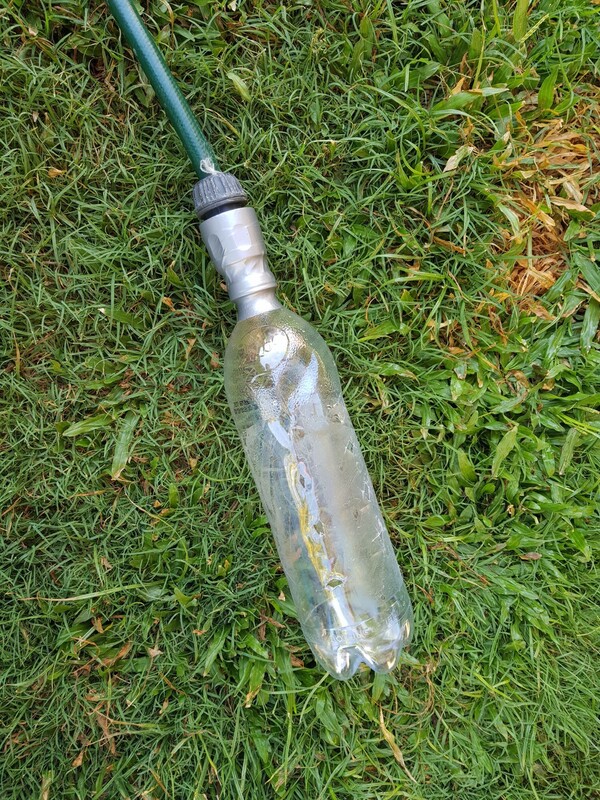 This home-made sprinkler is a great way to make inexpensive water play for your pup. Step one: The empty plastic soft drink bottle will act as your sprinkler head. Carefully poke holes in the bottle, approximately ½ a centimetre wide. Poke about 10 holes in total on the top side of the bottle, as one side of the bottle will lay on the ground. Step two: Attach the bottle at the spout where the lid would normally attach, to the end of the hose. Use duct tape to securely tape the hose and the bottle together. Step three: Turn on the tap and check that the connection you’ve made is secure. Once secure, turn on the tap enough to create pressure and voila! Your sprinkler is now ready to go. From the team here at AES – we hope you have a great, safe, and happy Australia Day!